For both parents and children, going skiing for the first time on a family holiday can seem daunting. Ski resorts want you to be happy. In fact, Smugglers’ Notch guarantees it at Snow Sport University, the instruction program. Of course they want you to have fun – they want you to come back. Here are some tips for first time skiers to make that initial ski trip easier. Planning to go on your first ski trip? Or taking your family skiing for the first time? These tips will help first time skiers feel more comfortable on the slopes. Before long, you will planning your next ski trip. 1. Dress in layers. The importance of dressing in layers cannot be emphasized enough. Weather can change quickly in the mountains, so you will be glad if you can peel off or add on a layer. 2. One pair of socks only, please. You need one pair of socks, not four. Thick socks can make it hard to fit boots; one pair of light to medium weight socks is fine. Bring a spare pair of socks for every member of the family, in case the first pair gets wet. I find that Smartwool ski socks keep your feet warm and dry. 3. Don’t leave home without the sunscreen. Sunscreen offers both wind and sun protection. Make sure to cover all exposed skin. 4. Goggles are nice. Ski goggles are not necessary, but sunglasses that block UV light are. One advantage of investing in a pair of goggles, though, is that they have a strap, so you are less likely to lose them. 5. Hats and mittens required. Bring hats or headbands and mittens or gloves; again, an extra pair of dry mittens and a second hat is vital. Once kids (or adults) are cold or wet, it is difficult to make them happy again and enjoy being outside. Note, too, that your regular mittens may not be adequate; we were bringing one of our kids to ski class at Smugglers’ Notch years ago and the instructor made us go buy new mittens. 6. No scarves necessary. Leave scarves at home. They can get caught on the ski lift, or blow off if not tied tight enough. My kids hate the constricting feel of turtlenecks, so to keep their necks warm, I get them neck gaitors, which are like a cylindrical scarf with no ends, and looser than a turtleneck. 7. Helmets for all. 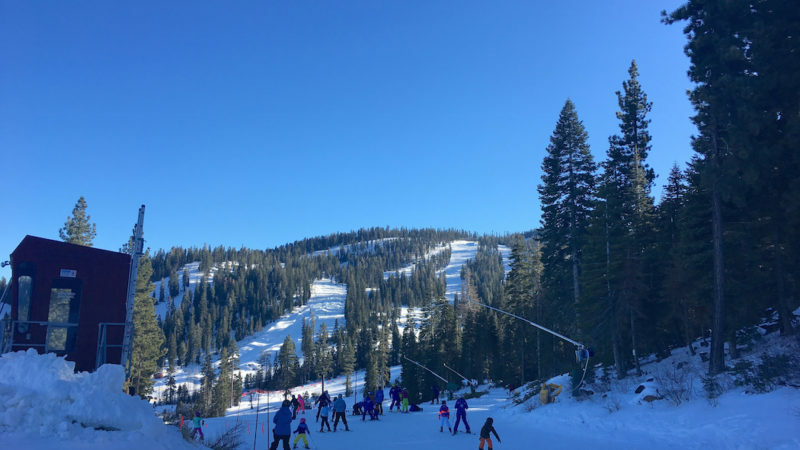 Ski resorts do not require helmets, though Heavenly, in Lake Tahoe, requires employees to wear helmets. Resorts encourage you to wear (and rent) one, but it really pays to bring your own. First, you want to get your child comfortable in a helmet, and if he can pick out a color he likes, that can help. Also, you want to make sure a hat fits under the helmet, and while you are picking up your rental equipment is not the right time. 8. Get there early. Don’t show up right before a lesson begins. There is paper work to fill out, and fitting for rental equipment can be time consuming. Some resorts offer ski rental the day before a learn-to-ski package begins, to save time in the morning, when people are eager to hit the snow. If you rent from a place close to home, you can spend more time focusing on fit, but then you have to lug the equipment from the parking lot (and remember, you will probably have to carry your kids’ skis and boots as well). 9. Take a lesson. 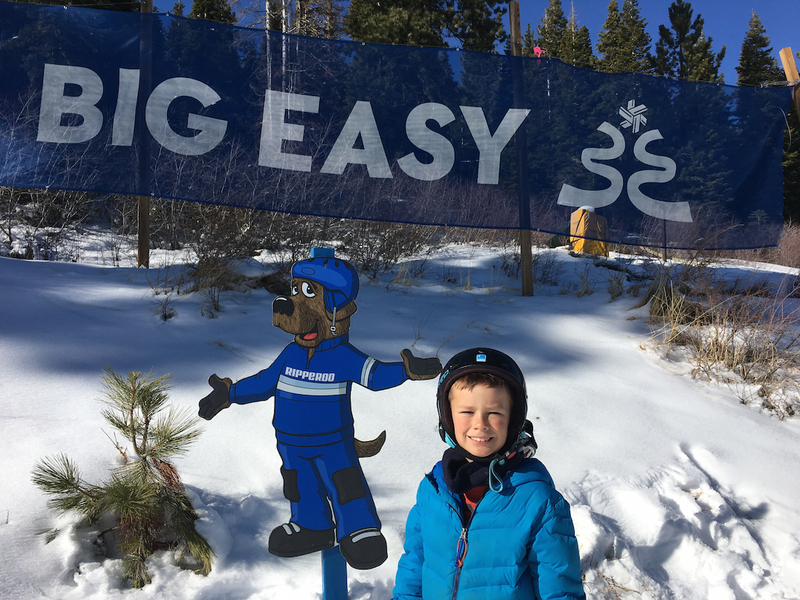 Any ski resort worth its powder has special ski programs for first time skiers, whether children or adults. 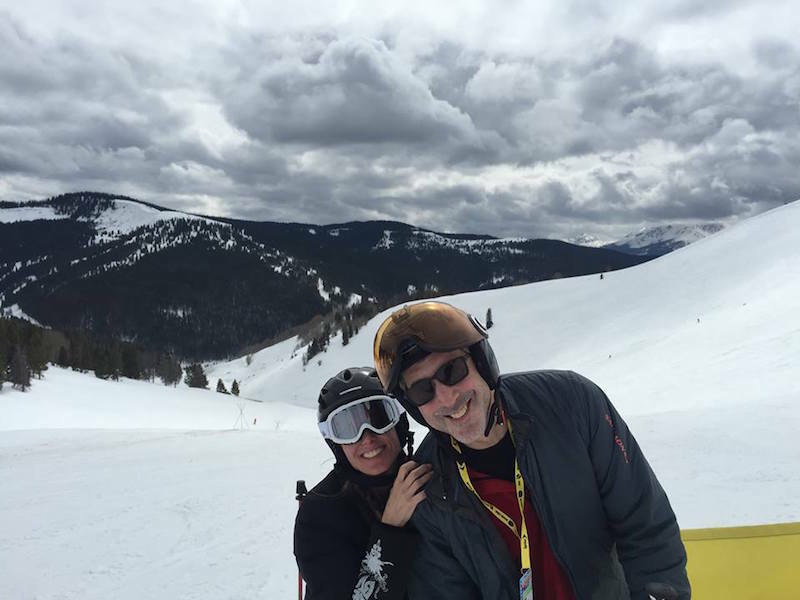 Many adults hit the slopes with friends and no formal instruction. But it’s a good idea for adults to take at least one lesson to learn how to turn, stop and fall without hurting themselves. Some programs start at age 2, with a gentle introduction to skis. Kids play in the snow while wearing ski boots, getting a feel for the equipment. 10. Little ones need groups. If you are putting your 2-, 3- or 4-year-old in a small group setting, she should have some prior group experience. The added stress of being in a group situation for the first time can make kids unduly anxious. Private lessons are always an option, but kids learn from other kids and can learn more, and have more fun, in group ski lessons. 11. Be honest. Honestly assess yourself, or older kids, before getting out on the snow so instructors don’t have to spend time reassessing. But speak out and express your own needs. If you feel a class isn’t challenging enough, tell the instructor. 12. Don’t forget a snack–a non-mushable one. Pack an easy-to-eat snack in your kid’s jacket, particularly if he is skiing with a friend, or going out for hours with a group. A granola or energy bar that he can eat on a lift can power him through a few extra runs, and he can eat it with his gloves on. CLIF Kid organic whole grain ZBars come in s’mores or peanut butter flavor and are scaled down from the adult appropriate. One of my kids once stuck a banana in her pocket for a mid-morning snack. She fell and smushed the banana and then wanted to get a new coat. 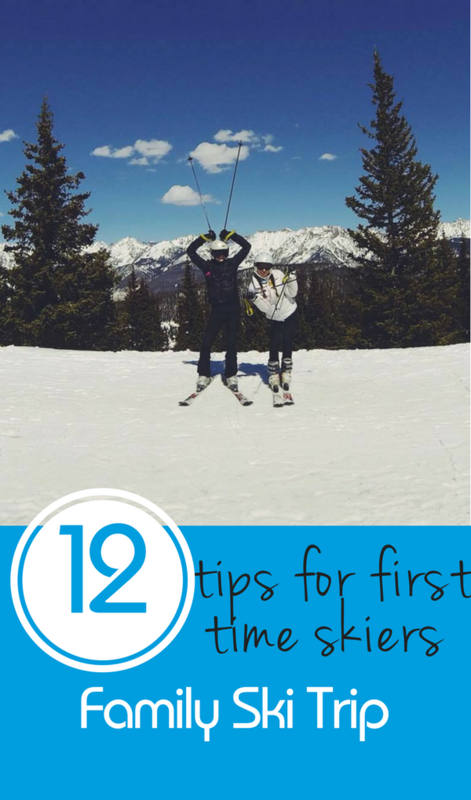 Do you have a tip for a first time skier? Tell us in the comments!